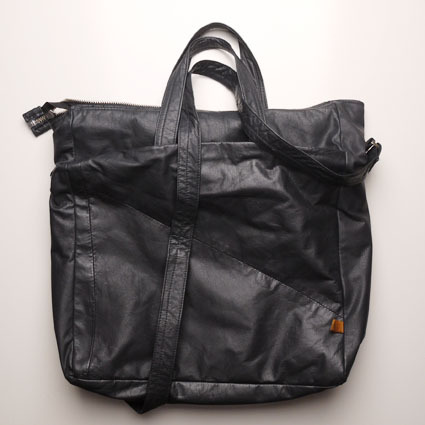 Handbag is made from recycled leather. Big pockets at both sides. Shoulder strap and handles which also can be hide inside the pockets. Metallic zipper and cotton lining. Inside is a pocket with leather trimmings.